Britain's Queen Elizabeth has installed Sky Plus in her royal residences so she can catch up with her favourite TV shows on demand. 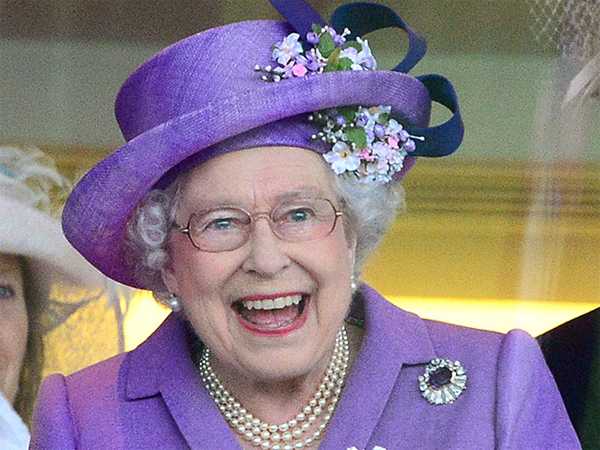 Britain's Queen Elizabeth loves soap operas. The 87-year-old monarch has ensured she never misses an episode of Coronation Street or EastEnders by having a digital recording service installed at Buckingham Palace and Windsor Castle so she can catch up on her TV favourites on demand. British actress Minnie Driver told the Daily Star newspaper, "I went to Windsor Castle as the Queen was getting an honorary Bafta [British Film and Television Award]. "She came over to our group and we talked about film and she asked me what the last movie I had seen was and it was something really dirty. It was Last Tango in Paris. "So I asked, 'Don't you have Sky Plus?' And she went, 'One does have Sky Plus, but one is so busy all the time." The 43-year-old actress also joked she spent most of her encounter with the Queen worrying she’d call her Pam. Minnie said, "All I was worried about was someone said you call the Queen 'Your Majesty' first of all and after that you call her 'Ma'am' to rhyme with Pam. "And I was so worried I was going to call her Pam."